Attention business owners in Northeastern PA: Business conferences are great networking opportunity for your business. Not only can you attend a conference or event, but you can sponsor one or even apply to be a presenter. If you’re looking for the best business conferences and events in NEPA you’re in the right place. Grow your business and meet like-minded business owners in my ultimate roundup of business conference listings in the Scranton / Wilkes-Barre area. February.The IGNITE Leadership Conference, hosted by the University of Scranton’s Center for Student Engagement, is the premier leadership conference open to all college students in Northeast PA. Focused on personal growth and development, the conference holds sessions about a broad range of leadership topics, including communication, problem solving, team building, having difficult conversations, communication across difference and identity development. April. This regional, day-long conference is designed to emphasize women’s ability to forge a positive change in their communities and in their personal and professional lives while highlighting the incredible energy created when women come together to support one another. June. Altus for Women is a Catholic women’s ministry in partnership with the Office for Parish Life of the Diocese of Scranton, PA.
October. Scranton Young Professionals (YP) is a diverse group of business leaders, under the age of 40, committed to building relationships and retaining talent among young professionals in the greater Scranton area. The Scranton YP seeks to give Scranton’s Young Professionals a voice in our community, in our businesses, and ultimately – in our future. If you’d like to do more than simply attend events, you can also serve on a planning committee. October. TechBash is a conference is for developers and programmers and features 3 days of sessions covering the freshest and most relevant topics in the tech industry. The following groups hold regular events and conferences for business owners that you may be interested in attending. SBDC provides educational programs and no cost, confidential consulting services to entrepreneurs looking to start a small business or grow an existing small business in NEPA. The University of Scranton has hosted the SBDC for over thirty years, providing outstanding resources, support and funding. The SBDC hosts local events, lunch and learns and trainings throughout the year. You can get more information on their website or on Facebook. WEC is a partnership between the Kania School of Management (KSOM) and SBDC. WEC student interns and SBDC staff offer business start-up information, guidance and encouragement to low-income women, those in transition or those trying to make a better life for themselves and their families through individual, confidential consulting and programs such as Coffee & Confidence – a 1-hour inspiration session and StartUP, a 6-week series that walks participants through the process of starting a business. Learn more on their website. The Greater Scranton Chamber of Commerce is the largest business network in northeastern Pennsylvania, with more than 1,500 member companies representing a variety of businesses. Check out their upcoming events on their events page or on Facebook. Also check out their list of networking events. The Greater Wilkes-Barre Chamber of Commerce is a member-driven organization representing hundreds of businesses and organizations, focused on helping members grow and succeed in Northeastern PA. The Wilkes-Barre Chamber holds regular programs and events for business owners and hosts special events for women and young professionals. Check out their calendar on the chamber’s website or on Facebook. Acting as a catalyst for business development in Northeastern Pennsylvania, Wilkes-Barre Connect formulates strategic partnerships with the academic and business community to spur business and job creation, retention. Administered by the Greater Wilkes-Barre Chamber, Connect is run through a committee comprised of strategic partners. Check out their upcoming events on Facebook. Ever consider going back to school? The University of Scranton (U of S) offers a unique Bachelor of Science (BS) degree in Entrepreneurship. Do you want to “do your own thing?” Thinking about starting a business? Want to be more innovative and creative in your work? Entrepreneurship is all this and much more. It is about being a “doer” and a problem solver. That is why corporations of all sizes seek out entrepreneurship students. It’s all about learning by doing. Start-up your career by majoring in entrepreneurship if you want to start your own company or become an innovator within an existing corporation. Check out all of the U of S degrees offered in the Management, Marketing and Entrepreneurship Department. Or, see all available programs in the U of S Kania School of Management. If you’ve attended any of these local conferences or seminars let us know in the comments below. 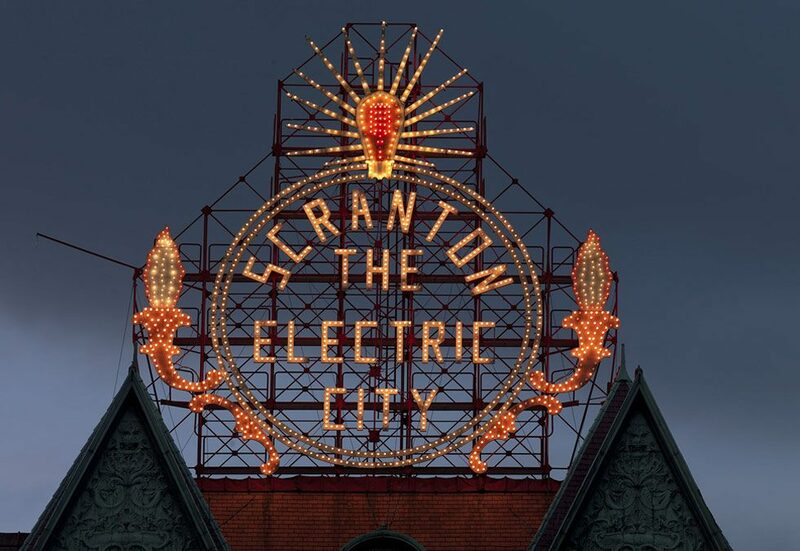 If you know of a conference, event or group in the NEPA (Scranton/Wilkes-Barre area) that I’ve missed, leave a comment below and I’ll add it to the list.